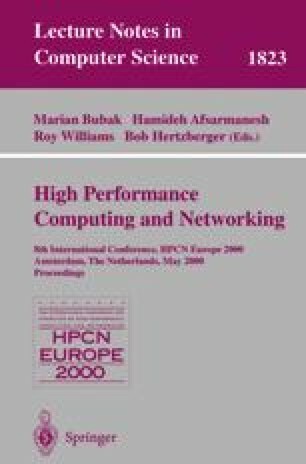 In this paper we present and discuss an architecture that allows transparent access to remote supercomputing facilities from a web gateway. The implementation exploits the Globus toolkit and provides users with fast, secure and reliable access to parallel applications. We show the usefulness of our approach in the context of Digital Puglia, an active digital library of remote sensing digital data.